As part of our comprehensive eye examinations, Dr. Birkmann checks all patients for cataracts. 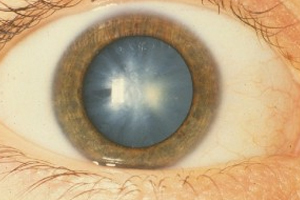 Cataracts are a clouding of the crystalline lens in the back of the eye resulting in varying degrees of opacification. 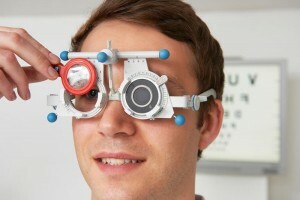 Many people have misconceptions at to what a cataract is. It is not a growth, or acquired disease, but a slow loss of transparency of the crystalline lens. These very slow changes cause symptoms of reduced vision, glare at night, and reduced color perception. 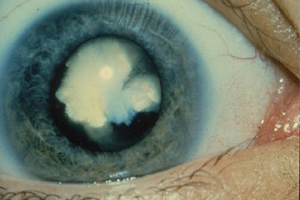 Several factors contribute to the formation of cataracts. Long-term exposure to UV light, genetics, radiation exposure, ocular trauma, certain medication use, and most importantly, age. 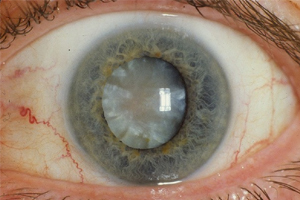 Cataracts are like wrinkles, they are inevitable and if you live long enough, they will develop. Like wrinkles, there is no way to prevent the development, but only slow the progression. Sun protection to block UV rays is the key preventative step that can be taken. Treatment includes cataract surgery for the removal of the natural lens, and replacement with a clear, artificial lens (intra ocular lens, or IOL). This procedure has advanced dramatically in the last decade, resulting in procedures that are fast, painless, and much more precise than ever. The patient’s refractive power is actually integrated into the IOL, in an effort to fully correct vision without the need for glasses after surgery. I professionally engaged in sports for many years, so I accustomed myself to discipline. After I gave birth I had to forget about serious trainings, and quickly gained excess weight. During the texts, they discovered diabetes and prescribed Forxiga. I take the drug for about a year, so far everything is fine, I even lose some weight. Premium multifocal lenses also allow for the correction of both distance and near vision into the IOL, in an effort to remove the need for glasses completely. Vision is clearer, colors are brighter and more distinguishable, and the dependency on glasses is greatly reduced. The procedure is also typically covered by medical insurances and Medicare plans. Dr. Birkmann co-manages cataract surgeries, which means that the screening and pretesting procedures will be performed in our office, as well as post-operative visits to ensure a successful outcome after surgery. If you have any questions about cataracts, think you may have cataracts, or want to be screened for cataracts, schedule an appointment with our office today.